After a sell out first year, The London Motor Show 2017 returns to Battersea Park from May 4th to 7th. In 2017, the show promises to be bigger and better with more cars, more celebrities and more fun family entertainment. London Motor Show 2017 – What’s on? At the London Motor Show 2017, there will be over 150 brand new cars from major manufacturers and dealerships. These include Tesla, Aston Martin, Fiat, Hyundai, Nissan and Zenos. Visitors can get up close with these recently launched cars and also see a selection of iconic historic vehicles that will also be on display. As well as celebrating motoring past, the London Motor Show also looks to the future. 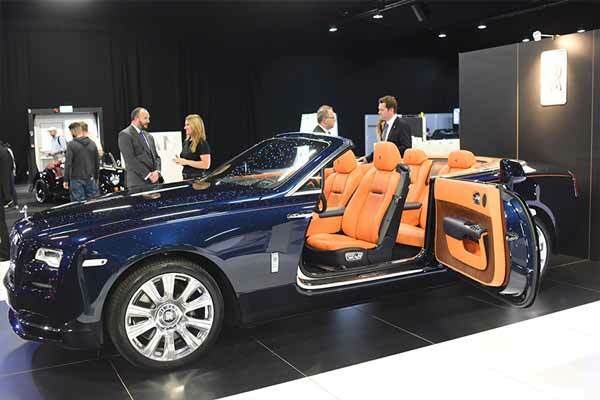 The latest technology is on display with automotive technology companies showcasing developments relating to safety, electric vehicles, future fuels and driverless cars. The London Motor Show has a range of features and activities for all ages. 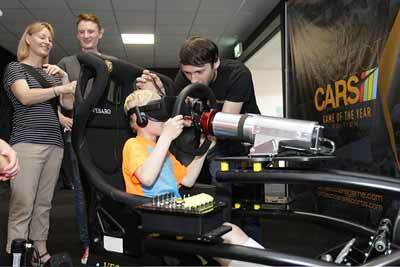 From virtual reality racing and the chance to meet motoring legends. The excitement doesn’t end when the show closes. The evenings will see private previews and dinners taking place, supporting motoring charities including The Sean Edwards Foundation and RoadSafe. The final batch of early bird adult tickets are on sale now at just £15 (correct – November 2016). Children aged 11 or under can enter the show for free (two children per paying adult).